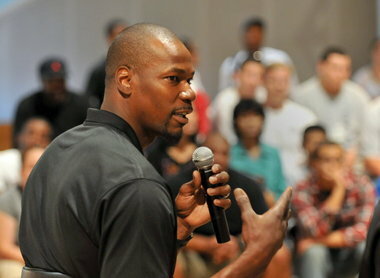 Pro Basketball Talk’s Kurt Helin noted Thursday that Robinson’s business venture has been titled “Uncle Spliffy“. Colorado, Washington and Alaska have also legalized recreational use. Robinson, along with a group of investors, will open a grow operation in Portland, Oregon, according to a story in the Portland Business Journal, with plans to have a product by the end of the year. “When I did it, it was wrong”. “It’s an opportunity for me to get out there and tell people a little bit about myself outside of basketball”, Robinson told the publication. “Cannabis is definitely a more positive alternative to pharmaceuticals at the end of the day”, he told the Business-Journal. “Those are synthetics. I’m talking about something that’s natural that can bring the outcomes you’re looking for, be it for muscle tension or relaxation or preparedness”. And he’s now made that official with his new role as a “cannabis advocate” and weed growing business in Portland, Ore. We’ve come a long way, and Robinson will try to take us even further. “There are a lot of things that have to fall into place before” cannabis is accepted in the NBA“, Robinson said. He will serve as the keynote speaker at next month’s Cannabis Collaborative Conference, billed as a “cannabis advocate” on the conference website.